We interrupt this blog posting drought to bring you a very important message. TODAY has been 5 YEARS since we held Samara in our arms for the very first time. FIVE YEARS!!! Feels like yesterday and a lifetime ago all at once. And the present - the here and now - our beautiful blessing! Thank you Lord for blessing our family with this precious gift. Austin was setting Denver up for being a really cool "skateboard dude" and I couldn't resist taking some pictures. Also a good excuse for a quick blog post. On Saturday Denver got his second haircut ever. I LOVE the long curls but it gets to the point where it's a huge challenge to detangle it. And it's not worth the fight . . . right Denver? I'm so thankful for the little place right in our small town where they know how to cut his hair. Not everyone, in fact very few people, can cut African hair so it's important to find someone good. And that we have. This is the same place where I buy the product I use in Denver's hair. After some trial and error when Denver was first home, we found the best stuff ever. It's one thing - I very rarely use something with it - and if I did, it would be in the same line. The stuff rocks. And when I go get his hair cut (both times), the stylist comments on how healthy his hair and his scalp are. So that's always proof that we're doing something right. Here are a few pics from the cut. He wasn't super impressed. He would have preferred to sit on my lap again like last time but I told him that he was a big boy now and could sit all by himself. Telling him he could wear a black cape just like Batman helped! Deep breath Mommy . . . it's only hair. It will grow back! This is what I got when I asked him to give me a nice smile. This past weekend was our birthday weekend. 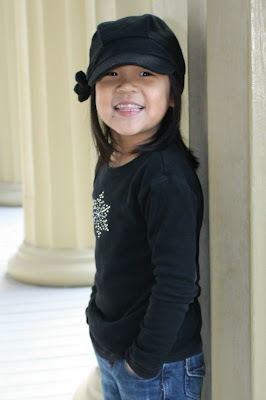 I thought I better post some pics before they get even older! Austin was first on Friday - he turned eight! Oh boy - and I thought three was bad! Practicing on his new skateboard makes up for having no snow on his birthday! He even beat his mom at Settlers of Catan. On Sunday Victoria turned 10. Double digits! Oh my . . . what am I going to do - all my babies are getting older! It's been a non-stop concert around here with her new karoake machine. So fun! She came into our bed at some point during the night but neither Mike nor I realized she was wearing her Santa hat. Seriously, one of the best things to wake up to! I know I took a risk taking a picture of her this morning but I couldn't resist. And she slept right through it. Hey look . . . it's me! It's been way too long . . . again. 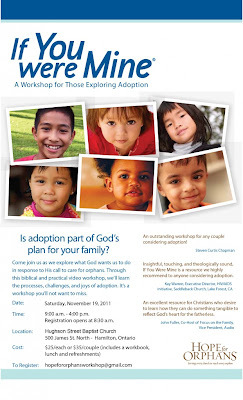 The adoption workshop we hosted a few weekends ago went really well. 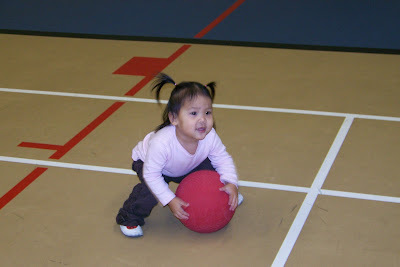 We had such positive feedback and so we are planning to host it twice a year with the next one being in March 2012. We are gearing up for Christmas finally. We got our tree and the rest of the house decorated today - about two weeks later than usual. We went to a great Christmas presentation yesterday with the kids. Click here to see the details. It was so well done and all six of us loved it. I don't have much else to say so I'll try to post some pics. Mike took a few of the kids in front of the tree before bed tonight. And here's a nice group shot. Seriously, it was the best one. The goal of the workshop is to encourage families toward wise, loving decisions that are rooted in God’s Word and based on healthy expectations about adoption. We want to encourage anyone to come – whether you’re sure adoption is in your future but you need some more information or whether you’re just thinking for the first time, “I wonder if adoption is God’s plan for our family”. I tell my kids on a regular basis that they need to stop growing and stop getting older. And all four of them continue to disobey me on this! There's nothing I can do to make it stop and I'm not happy about it. On Friday Denver went and turned three! My baby. My little boy. Three. He was pretty excited about his birthday this year. Every time we would talk about it coming up, he would say "I'm getting a scooter for my birthday". And when we questioned him on that one, he stated very matter of factly that he was getting it from Mommy and Daddy. Well, I guess when you're two, going on three, you can get away with it cause that's exactly what he got (thanks for the idea Denver!) He was one happy three year old riding that scooter up and down the hallway all day. We are Michael, Karen, Victoria Austin, Samara and Denver . . . and this is the story of how God is continuing to bless us.